This high quality designer dress is even more beautiful in person—pictures do it no justice. The 3-Dimensional Lace Pink and Black Designer Dress by Minuet is fully lined and has an invisible side zipper as well as adjustable spaghetti straps. 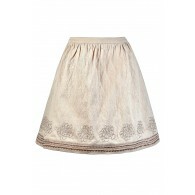 It is a lovely pale pink color with vertical strips of 3-dimensional lace that literally pop out at you. 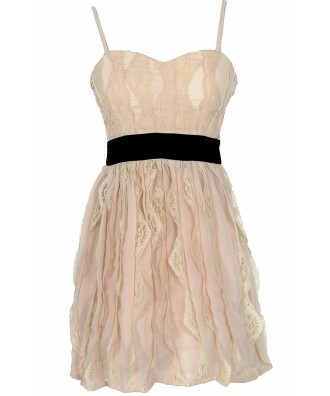 It also has a black fabric band on the waist, adding unexpected contrast. The bust is fully lined and lightly padded for support. The 3-Dimensional Lace Pink and Black Designer Dress by Minuet is perfect to wear to a wedding, dance, or any other event on your calendar and would look great paired with black pumps or strappy heels and a clutch. Details: Fully lined. Invisible side zipper. Adjustable spaghetti straps. Lined and lightly padded bust for support. 100% polyester. Dry clean only. Small measurements: Length from top of bust to hemline: 27”. Bust: 32”. 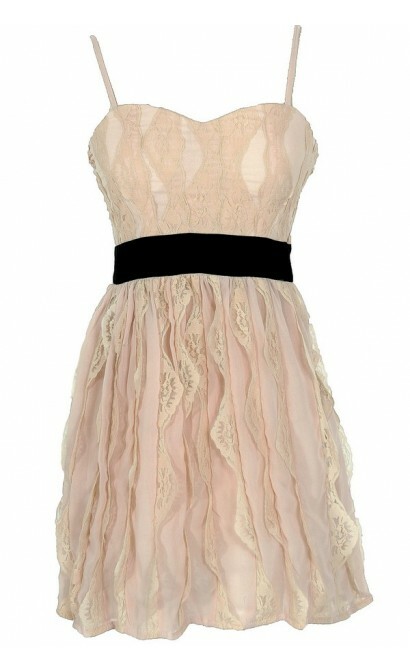 You have added 3-Dimensional Lace Pink and Black Designer Dress by Minuet into Wishlist. You have added 3-Dimensional Lace Pink and Black Designer Dress by Minuet for Stock Notification. You have set 3-Dimensional Lace Pink and Black Designer Dress by Minuet as a loved product. 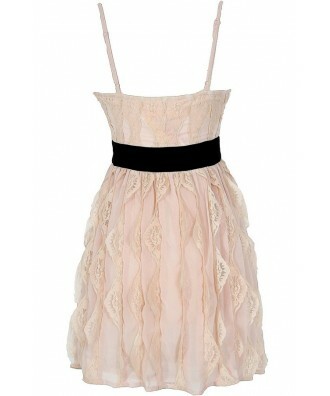 You have removed 3-Dimensional Lace Pink and Black Designer Dress by Minuet as a loved product.